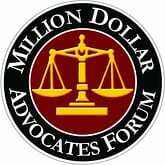 We have recovered millions of dollars for our clients. At Friedman & Martin Attorneys we answer only to you, our clients. We take on large corporations and insurance companies on a daily basis for our clients. Many lawyers and their firms claim they will fight for you. They also make claims concerning how much money they can get for you. The difference between saying it and doing it is huge. We are successful because insurance companies know we will file suit and fight for your rights and the money you are due. We will not just settle, but we go the distance on your claim. Proven results for our clients. Your case evaluation is FREE! No recover = No Fee to you. We don't get paid unless you do. We don't just settle, we go the distance to get you paid. *No recovery-no fee refers only to fees charged by the attorney, such contingent fees are not permitted in all types of cases. court costs and other additional expenses of legal actions usually must be paid by client.